Even though it’s super important to actually convene and be together physically, I think there ain’t nothing wrong with a virtual movie night every once in a while. Virtual movie night consists of watching a specific movie wherever you are in unison with anyone else who wants to watch wherever they are in unison with everyone else who is watching the same movie wherever we all are. Does that make any kind of sense? Taking place in 1986 and 1998 and based on a true story, three poor, Black kids in rural Mississippi reap the consequences of their family’s cycle of abuse, addiction, and violence. 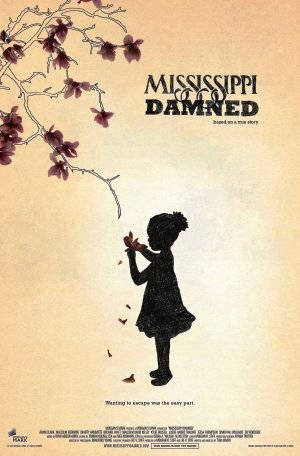 They independently struggle to escape their circumstances and must decide whether to confront what’s plagued their family for generations or succumb to the same crippling fate, forever damned in Mississippi. Bitterly honest and profoundly subtle, writer/director Tina Mabry successfully captures growing up in a world where possibilities and opportunities seem to die in the face of the suffocating reality of physical and sexual abuse, obsession, and a myriad of destructive compulsions. Where: From the comfort of your own home, office, car, front porch, or wherever you get the best internet connection on your laptop, cell phone, iPad, desktop, etc. Time: Starts at 6:30 PST sharp! The movie is 120 minutes. Chatroom: https://us20.chatzy.com/26477044980390 Follow the instructions and then click ‘enter chat’ on the bottom of the screen. Chatzy does not have the option to speak for those who may have difficulty reading or using the keyboard. If you need this accommodation then let me know and we can figure out if we need to find a different service that has those options. P.S. I’m letting you know now that I have a horrible track record of falling asleep during previews — I usually have to watch movies in shifts. For you all, though, I promise to do the best I can. For real! This entry was posted on September 2, 2015 by Seattle Black Feminists in Meetups, Uncategorized and tagged Virtual Movie Night.